A van is a kind of vehicle used for transporting goods or groups of people. It is usually a rather box-shaped vehicle on four wheels, about the same width and length as a large automobile, but taller and usually higher off the ground, also referred to as a Light Commercial Vehicle or LCV. However, in North America, the term may be used to refer to any truck with a rigid cargo body fixed to the cab, even up to large sizes. In the United States, a van can also refer to a box-shaped trailer or semi-trailer used to carry goods. In this case there is a differentiation between a dry van, used to carry most goods, and a refrigerated van (a reefer) used for cold goods. A railway car used to carry baggage is also called a van. A vehicle referred to as a full-size van is usually a large, boxy vehicle that has a similar platform and powertrain to their light truck counterparts. These vans may be sold with the space behind the front seats empty for transporting of goods (A cargo van), or furnished for passenger use by either the manufacturer (Wagon) or another company for more personal comforts, such as entertainment systems (Conversion van). Full-size vans often have a very short hood, with the engine block moved to within the passenger cabin. 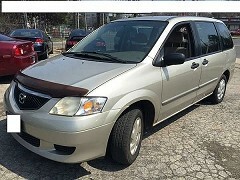 The term van may also refer to a Minivan. However, minivans are usually distinguished by their smaller size and traditionally front wheel drive powertrain, although many now are being equipped with four wheel drive. Minivans offer similar seating capacity (traditionally seven passengers) and better fuel economy than full-size vans, at the expense of power, cargo space, and towing capacity. 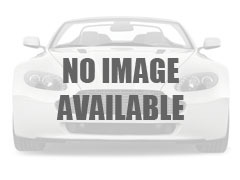 FSBO Car Sales.com provides clear and concise van classified listings that you�re interested in with lightning speed. With advanced features such as the ability to search using multiple options, you will be able to find the perfect used van quickly and at the right price! Because our service is completely FREE, our van listings grows everyday. 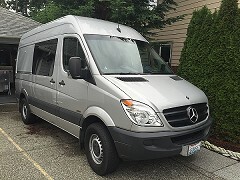 Our comprehensive database of van classifieds from across the United States and Canada makes it easy to compare models and prices. Browse through thousands of used van listings and connect with van sellers from across the country, saving you time and money. With dozens of van manufacturers and models to choose from like a Chrysler Town & Country, Honda Odyssey, or a Toyota Previa; finding and purchasing a used van online has never been simpler! Create an account with FSBOCarSales.com and sell your used Van free! 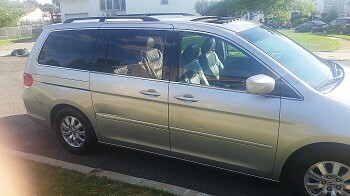 Post your used Van by owner with the web's best used car classifieds!